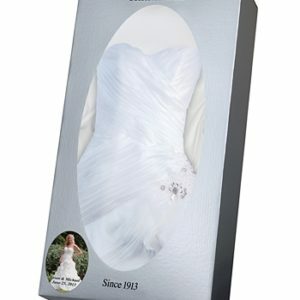 The Traditional Wedding Gown Preservation Kit is the easiest and most trusted service to clean and protect your gown. 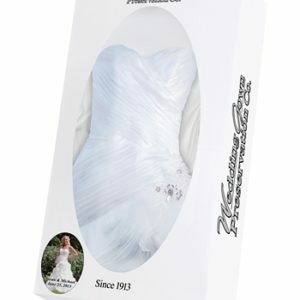 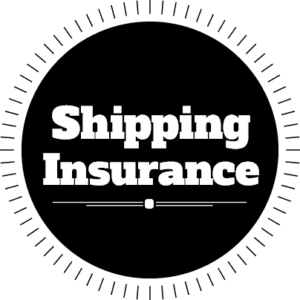 Choose our Traditional Kit if the purchase price of your gown was less than $500, is less than 20 years old, and has minimal yellowing or staining. 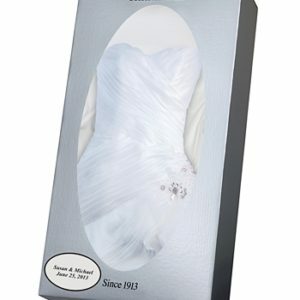 This includes the option to personalize with your wedding photo on the box! 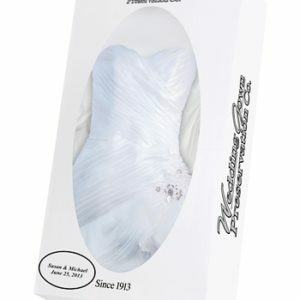 The Traditional Wedding Gown Preservation Kit is the easiest and most trusted service to clean and protect your gown for future generations to cherish and even have the opportunity to honor you by wearing it again one day at their own wedding. 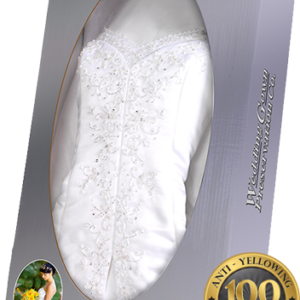 Over 3,000,000 brides have chosen our service since 1913 and we’re the only company to proudly stand behind our service with a 100 year anti-yellowing, anti-staining guarantee. 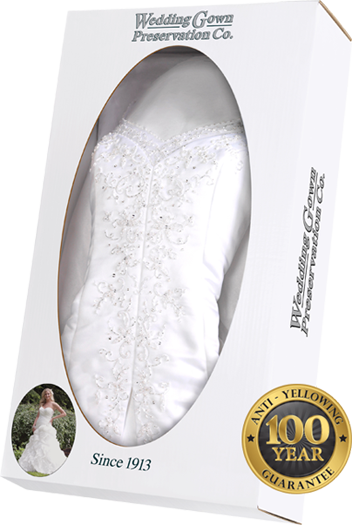 Choose our Traditional Kit if the purchase price of your gown was less than $500, is less than 20 years old, and has minimal yellowing or staining. 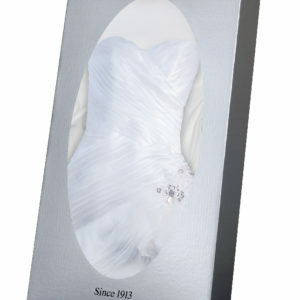 This include wedding photo personalization.